Plenty of readers email us with their stories and questions and it’s great to hear what people are thinking. We get plenty of practical questions, such as what it costs to ship cars and what we think of the schools. One of the top questions works out to be some form of “How are the locals? We’d heard anecdotes about harassment of haoles (In loose terms, it’s Hawaiian for “whitey”) and weren’t 100% sure what we’d find after we moved. Well, it’s nearly a year in and we’ve had countless positive experiences with residents and not a single negative comment or feeling of being made unwelcome. The “Spirit of Aloha” is true. People are simply nicer here, especially if you bring an attitude of patience, kindness, and being open yourself. We’ve had great experiences with many longtime residents simply because we were friendly. Hawaiians aren’t even a majority. The largest single racial group is. . .Caucasians! In 2008, the island was 32% white, 27% Asian, 11% Pacific Islander, and 28% were a mix of 2 or more races. (Wikipedia details) A recent news story said the Big Island has about 30-35% of residents with Hawaiian heritage, which was highest of all the islands. It’s really one big melting pot. Even with Hawaiians being a racial minority, the Hawaiian culture and language touches everything. Almost everyone who relocates here does so by choice. New residents want to participate in the culture and that interest and respect produces an amazing experience. 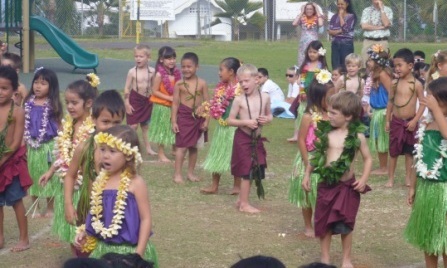 Our kids’ school has a Hawaiian studies teacher who does a session with each class weekly, and the kids usually do songs in Hawaiian for the Christmas and Spring performances. Beckett’s class donned traditional outfits and ti-leaf leis while doing their song, while Mara’s class did a hula that tells the story of trains being introduced to one part of the island. 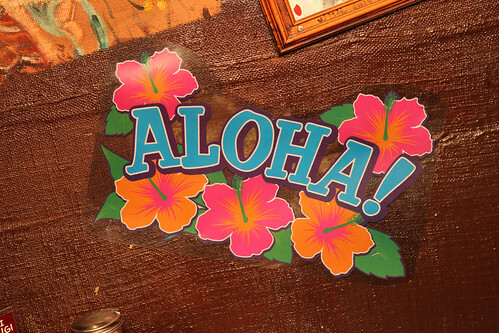 Those things don’t make us capital-H Hawaiians, and that’s ok. We’re here to contribute our own aloha, slow down from mainland speed, and enjoy the ride.